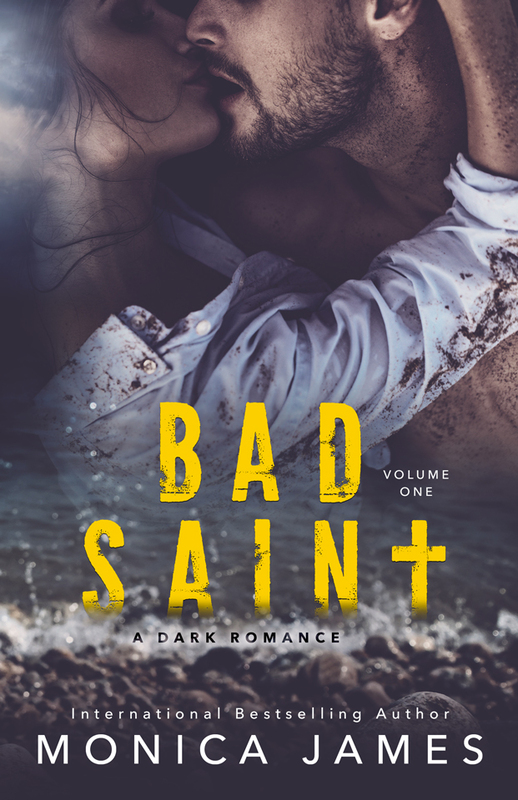 Check out the cover, synopsis, and an excerpt from Bad Saint by Monica James. 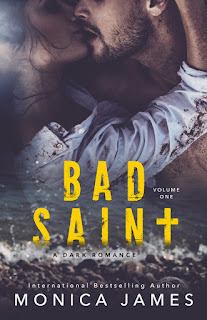 This is the first book in Monica's new All The Pretty Things dark romance trilogy. I have a feeling this author is going to have us on the edge of our seats. Bring it on! I was kidnapped on my honeymoon by three masked men. 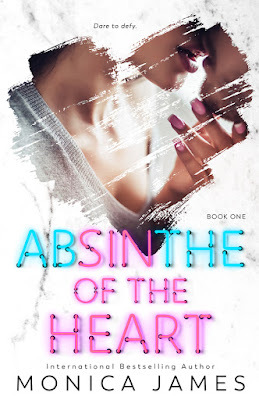 I just added Absinthe Of The Heart by Monica James to my reading list. This May 14th release is the first book in the Sins of the Heart series. Read an excerpt below. The boy who is completely off-limits is the one who drives me, Holland Brooks, wild. I want London, and I think…he wants me, too. Before I get a chance to scold him, he presses his chest to mine and slowly reaches behind me. We’re caught in a deadlock. I’m barely breathing while he licks his bowed upper lip, unaffected. I shuffle backward, uncaring that I’ll probably fall off the edge because that alternative is far better than burying my nose into the length of his neck. He smells so good. I just want to take a bite. He has the gall to laugh. “You? Defenseless? That is one word I would never associate with you, Princess.” When that momentous nickname slips past his lips, we both freeze, him gingerly meeting my eyes. A thousand emotions are reflected deep within those shadowy depths, transporting us both back to being seventeen. And just like that, my walls crumble. He clears his throat while I avert my eyes, focusing on a lone beer bottle cap on the floor. There are bottles clinking and some sort of rustling happening behind me, but I don’t dare turn around to see what the commotion is. When he finally pulls away, I take a breath, but it’s in vain because he drops to his knees before me. I have no idea what he’s doing until he lifts my injured ankle and presses a dishcloth filled with ice to the swollen flesh. The relief is instant, so I don’t fight it. I watch as he tends to me, on his knees, as it’s a sight I never thought I’d see. I envisioned London on his knees, begging for forgiveness more times than I care to admit, but this is different. Something is selfless, almost repentant about his actions, and I can’t take pleasure in seeing him this way. “Here.” He breaks the silence when he offers me his cell from his back pocket. My brain short-circuits. Not only is he tending to my wounds, but he’s now giving me a lifeline to get the hell out of here. But now that it’s within reach, I don’t want it as desperately as I thought I did. Regardless, I accept the offering. The screen lights up with a picture of an adorable black Labrador. I don’t know why, but it throws me. This is a part of London’s life, and I begin to wonder what else he holds close to his heart. Over the past ten years, I exorcised London from every crevice of my mind and body, never allowing myself to slip back into the past. But being here now, I can’t help but be curious, especially because he looks different…he looks happy. I just added Forgetting You, Forgetting Me by Monica James to my TBR. Enter for a chance to win a copy on release day! I am HUGE Monica James fan! Check out Wicked Dix (Book 2: A Hard Love Romance) series. I just added this one to my reading list! 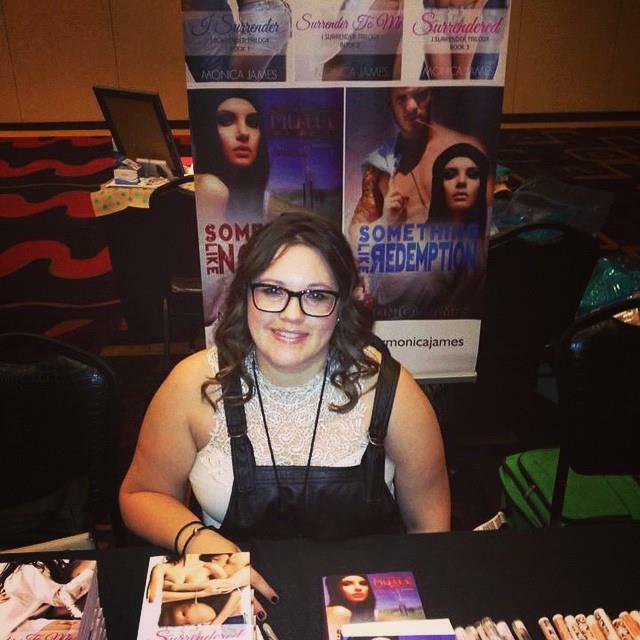 Check out Addicted To Sin by Monica James. Monica James spent her youth devouring the works of Anne Rice, William Shakespeare and Emily Dickinson. When she is not writing, Monica is busy running her own business, but she always finds a balance between the two. 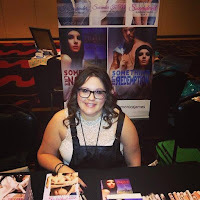 She enjoys writing honest, heartfelt and turbulent stories, hoping to leave an imprint on her readers, and her inspiration comes from every day life. She is an Amazon best selling author in the US, UK, Canada and Australia. Monica James resides in Melbourne, Australia, with her wonderful family, and menagerie of animals. She is slightly obsessed with cats, chucks and lip gloss, and secretly wishes she was a ninja on the weekends. Ava picks up and leaves everything – college, family and friends to follow her boyfriend to live in Singapore. Then he breaks up with her in a karaoke bar (such a huge dbag!) Ava is completely devastated from the breakup and returns home to LA and moves in with her best friend V. V. drags her track wreck of a best friend out on the town to meet her boyfriend who happens to be in a popular local band. She meets V’s boyfriends' bandmate--Jasper. They have the whole insta-chemistry thing going on. Ava and Jasper decide they can only be friends since she is still nursing a broken heart from her break up with the overseas dbag. Then there is the issue of Jasper’s girlfriend! She learns that he is in an on/off again relationship with some blonde bimbo. Finally, timing is right for the two friends to make a go at a real relationship. Ava emotionally sabotages herself and ends up pushing Jasper away. Their relationship is peppered with a lot of miscommunication related drama and trust issues. She is terrified to about having to have her heart broken again. Jasper has his own set of emotional baggage he is dealing with. Will she finally allow herself to love and trust again? Will Jasper figure out how to be in a “real” relationship? Will he stop kissing his ex? That’s just the start. I loved the way this story developed. I felt like I was in Ava's head and heart as the story unfolded. Yes, there were times I want to drop kick her when she was in self-destruct mode. Arghhhh…She reminded me a lot of Kiera from SC. Stephens Thoughtless series. What is there not to like about Jasper…he’s hot, plays in a band, has cerulean blue eyes and works in an animal shelter! I loved that he was a straight shooter most of the time...except for some of his douchey behavior with his ex-girlfriend. I am hooked on this series. There is a cliff hanger. I Surrender....Monica James!!! I'm begging for book two. Review copy received by the publisher in exchange for a fair an honest review. Welcome to Fridays Five. Every Friday I will be showcasing five new books that caught my eye, five books I recently read and loved and five books I can’t wait to be released. You might find your next new favorite book on here. Authors please let me know what you are working on. I’m always looking for new Kindle Crack.